There is little doubt that the rebound of the real estate market has been a slow but steady improvement. The latest numbers to come out for the State of Maryland and more specifically, Frederick County confirms the continued improvement of the market. The State of Maryland had a 14.2% increase in the sale of homes in January, 2015 compared to January, 2016. That results in 553 more homes sold in Maryland in January of this year compared to last January. Frederick County had a 22.0% increase over last year January. The average price of homes decreased by 0.5% over last year January. If there is 6 months or more of inventory of homes for sale, it is considered a buyer’s market. Any where from 3 months to 6 months of inventory is considered a neutral market – neither a buyer’s market or a seller’s market. If there less than 3 months of inventory of homes for sale, it is considered a seller’s market. In the State of Maryland, the inventory level for January, 2015 compared to January, 2016 dropped from 6.5 months to 5.5 months meaning it has transitioned from a buyer’s market to a neutral market. In Frederick County, the inventory level for January, 2015 compared to January, 2016 dropped from 6.3 months to 5.5 months meaning it too has transitioned from a buyer’s market to a neutral market. 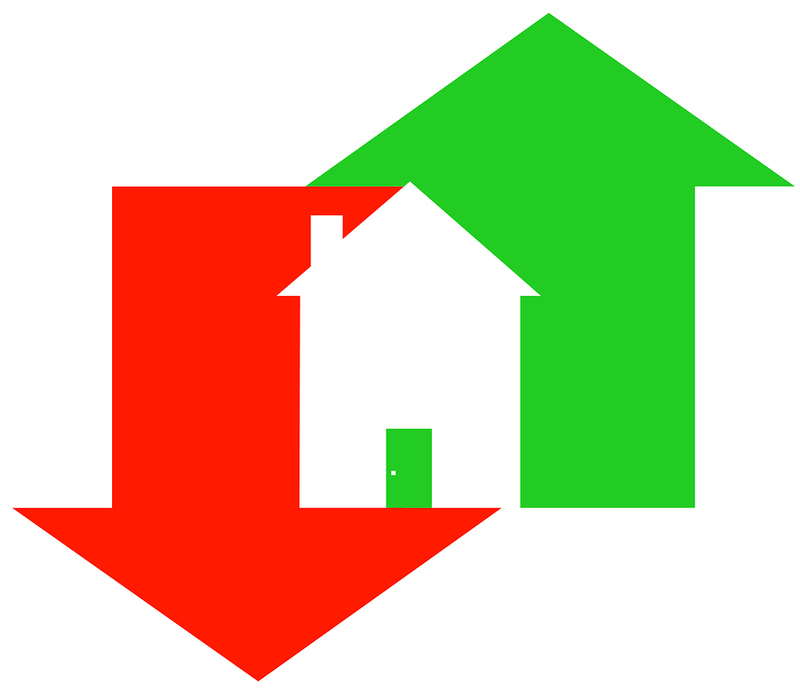 A continued downward trend to 3 months or less of inventory will switch to a seller’s market. 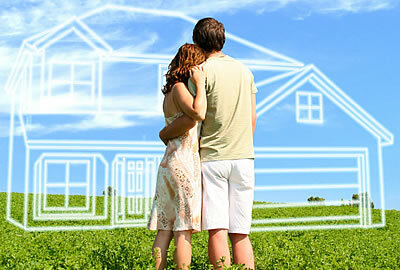 Statistics show that there is a huge pent up demand for homes from first-time homebuyers. Many first-time home buyers have remained on the sidelines for the last several years for many reasons; the economy, saving for the downpayment; reducing debt, etc. 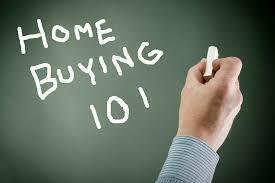 But as these homebuyers come into the market, there are several steps to help with the purchase of their first home. Do not delay contacting a REALTOR®. All too often first time home buyers who are renting will wait until their lease is about to expire and then try to buy a home without realizing how long it takes for the process. Then if the buyers can not find a home to close on in a short period of time, they wind up renewing their lease or trying to find some kindhearted friends or relatives that they can stay with for a while resulting in a double move. My advice is to contact a REALTOR® as far in advance as possible to begin the process. Six months to a year is not unreasonable. This provides the added benefit that if there is a blemish on your credit report it gives you time to deal with that issue rather than at the last minute. Borrowing the maximum amount a lender will allow and not creating a realistic budget. Mortgage companies are in the business of making money. Its no surprise that they do this by loaning money – the more they lend, the more the make. Nevertheless, it’s important that home buyers determine what fits into their budget and stick to it. In reality, the mortgage market is very good and predicting what mortgage amount will be realistic for home buyers, however, if you like to travel or spend money on other things, be sure you evaluate that into your mortgage amount. Its also important to have a firm understanding of what expenses you will occur with your new home. Heating a 2,200 square foot home is very different than an apartment. Looking ahead. Most first-time home buyers stay in their homes approximately four years. It’s important to have some idea of how long you plan to stay in the house and to evaluate the resale value. If your buying a townhouse in a large development that is just starting, and the new construction will be going on for a few years, it may be difficult to sell your property when construction is going on. If your thinking of staying several years and starting a family, the school district may be a major issue for you. If you get to the point that you think you may want to sell your home, be sure to talk to a REALTOR® about the price that it may sell for. There are on-line companies that will indicate what your home will sell for with little or no regard what your home is actually worth. Often times these prices are tens or hundreds of thousands of dollars off. Pre-approval for a mortgage. This is one topic that can not be overstated. When meeting with a REALTOR® one of the first conversations they should have with you is whether or not you have been pre-approved for a mortgage. There are several reasons for this. The most important is to find out what price range you are realistically able to buy. All to often, buyers have the mistaken idea that they want to buy a home around $700,000 when in reality they can only get a mortgage for $500,000. If they have already been looking at homes in the range of $700,000 everything that I show them at $500,000 will most likely be disappointing. The second reason for talking to a mortgage broker early on is that if there are issues with your credit score it may be things that can be corrected, but that usually takes time. If you wait until the last minute to apply for a mortgage, you may not be able to close on time. The third thing that I will mention is when you put in an offer it is always, always, always a better situation to include a letter from your lender stating that you have been pre-approved for the purchase price rather than indicating to the seller that now you will try to get a loan. The last item I will mention regarding the mortgage is that it is very complicated regarding the amount of cash you have and the debt you have. Whether or not you should hang on to the cash or pay down some debt is a call that is best made by the mortgage office. They can be a big plus in this area. If you want to impress a seller, strike while the iron is hot. One thing that I advise clients is that when you want to buy a house, be prepared to make quick decisions. If the sellers counter your offer, which is usually what happens, make a quick response as to the offer. Waiting the full amount of time before the offer expires indicates to the sellers that you really aren’t too interested in the house. Myths are nothing new. In days gone by, information was exchanged at the back fence with a neighbor or at the local store. Today, with the explosion of information on the Internet we can exchange information at lightning speed. 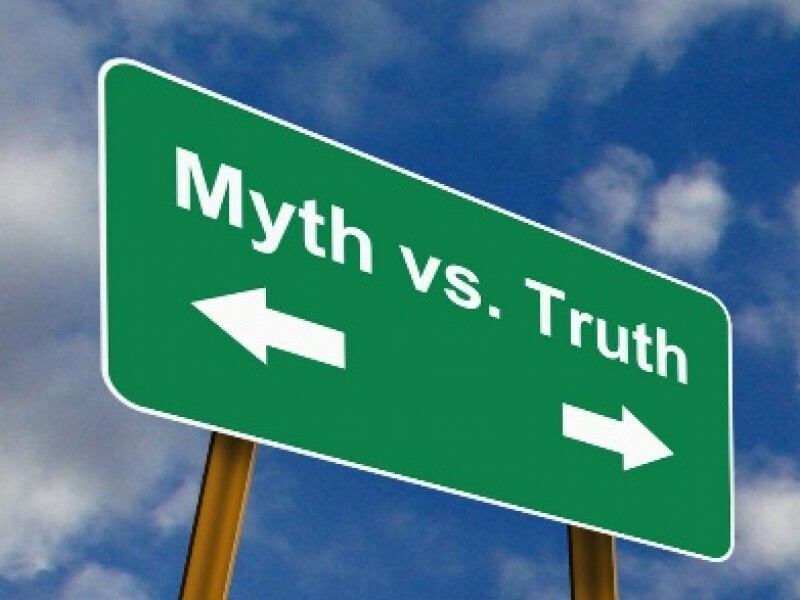 Truth and myths travel at the same speed. Buying a house is not something that people do everyday. Many will be out of the housing market for years or even a lifetime. Some may buy or sell a house every few years. 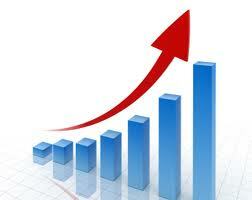 Nevertheless, the real estate market is a fast changing market that needs expert guidance. 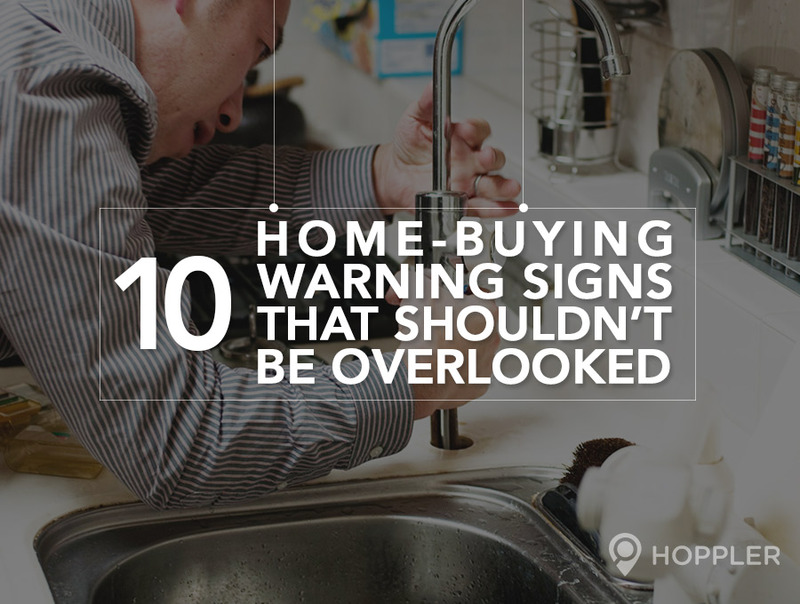 Here are some ideas that float around with potential seller’s and buyer’s that may not only be false, but may actually damage your efforts in buying or selling. Over pricing your home. Every seller wants to get the most for the property they are selling, and every buyer wants to buy the property for the least they can get it for – that is pretty much a given. But over pricing your home may be the kiss of death in real estate. If I have a buyer who is looking to buy a house for $400,000, I am not going to show them a house listed for $499,900, even if that house may only be worth $400,000. Overpricing your home may result in not getting the traffic you need to sell your house. My advice: List your property close to what you expect the actually selling cost to be. Not using a REALTOR® can save you money. Buyers generally do not pay anything to the agent for their services. The commission is paid by the sellers. It is important that you read any contract to determine how the commission will be paid. As a buyer if you contact the listing agent about the property, you have to remember that generally the listing agent works for the seller – not you! I always, always, always advise buyers to have their own agent. Sign a buyer’s agreement and let them represent you. FSBO – For Sale By Owner – is statistically not a financially good move. Yes, it is true that you can sell your own property, and yes there are discount brokers who will tell you that the only thing you need to do is have your property listed on the MLS. Generally speaking FSBO will languish on the market for extended periods of time. In addition, studies have shown that property sold by a REALTOR® sold for 17% more than FSBO. That is much more than any commission will cost. Renovate your home to get top dollar. Many people believe that remodeling your home will get you a lot more money for your home. It may, but more than likely, you will spend more for the remodeling that you will recover in the sales price. Renovating a house shortly before selling may actually backfire. Potential buyers may not share your taste but may not want to redo a kitchen or bathroom that has just been done. Also, remodeling part of your house and not the whole house may make the house look unfinished. Unless, there are things that need attention, like heating and air conditioning, plumbing, or a new roof, I would suggest that you adjust the price of your home, rather than start remodeling. As always, if I can help with any of your real estate needs, please feel free to tex or call me at 301-712-8808 or email me at RolandLow1@gmail.com. The age-old question of which came first, the chicken or the egg, can certainly apply to home buying. If you talk to a REALTOR® they will most likely tell you the first person you should contact is a REALTOR®. If you talk to a mortgage broker they will undoubtedly tell you the first person you should talk to is a mortgage broker. Breaking with tradition of REALTORS® I will tell you it really does not make to much difference who you contact first – as long as both the real estate agent and the mortgage broker are in lock step. That being said, I will say that I believe that it is more critical to talk with a REALTOR® first. The reason is that the REALTOR® will be with you during the entire process. Because of that it is important that you are comfortable with your REALTOR®. The mortgage broker will handle a much smaller portion of the process. Nevertheless, applying for a mortgage is a critical step and should be done early on in the process. First of all, buyers must determine the amount of mortgage they will be approved for in order to determine what price range of homes they should look at. As a REALTOR®, one of the first questions I will ask a potential buyer is whether or not they have talked to a mortgage broker and whether or not they have been “pre-approved.” If not, most REALTORS® can refer you to a mortgage broker that they are confident will work hard to be able to approve a loan for a potential buyer. Not only that, the relationship between the REALTOR® and mortgage officer is critical during the process should there be a glitch along the way. It is always important that if there is a glitch – and there often is – that the REALTOR® or mortgage officer can pick of the phone and talk to each other, as opposed to emails from Internet based mortgage companies. 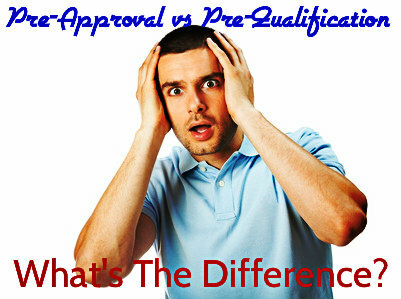 There is a lot of confusion between a pre-qualified and pre-approved. It is very important that buyers understand the difference and get pre-approved for a mortgage. Here is why. Any real estate agent can pre-qualify a potential buyer for buying a home. This process is a very simple process and only crunches a few numbers. Basically, the buyers state how much income they have and how much debt they have. If the total debt and mortgage payments, including taxes and insurance is less that 36% of their gross income and their mortgage payment is less than 28% of their gross monthly income, then they will LIKELY qualify for a mortgage. I say ‘likely’ because in the pre-qualify process it does not take into account if the potential buyers are current with payments; it does not verify the income, nor does it review their overall credit worthiness. Personally, I have not done a pre-qualify for years. It is more effective for potential buyers to obtain a “pre-approval” letter from a qualified mortgage broker. Even then it is a first step in obtaining a mortgage. There is another major reason why I require buyers to get pre-approved prior to showing properties, at least not too many. Often times potential buyers will decide that they can afford a $500,000 home only to later find out that they will only be approved for a $350,000 mortgage. If I have shown them homes priced at $500,000 every home that I now show them priced at $350,000 will fall short of what they have looked at before. This makes home buying very difficult. In addition, if I am representing the sellers, I want to see a “pre-approval letter” from a qualified mortgage broker along with the offer to determine how serious the offer really is. If you are thinking a buying or selling, talk to a real estate professional – talk to a REALTOR® – who can give you the information you need to make an informed decision. The groundwork is in place for a major jump in home buying for 2016 – especially this spring. Experts range the prospect from moderate to “robust.” It doesn’t appear that it will be the frenzied sales we saw just before the market went bust, but it appears that it will be healthy growth. If you are even remotely thinking of buying – or selling for that matter – anytime in 2016, I would suggest that you take some time now to meet with a REALTOR who can help with a game plan to put you on the right path in obtaining your new home. If you are thinking of selling, a review by an objective REALTOR may help to point out areas that need to be improved to maximize your sale amount. If you are thinking of buying in 2016 – especially if you are a first time home buyer, I suggest that you meet with an agent as soon as possible. I generally advise that first time homebuyer’s meet with a REALTOR about a year before they plan on closing on their house. A year may seem like a long time, but there are times when you will discover that there are items on your credit bureau that may need to be corrected, or that you will need more money in your bank account than you thought. The earlier you find these issues and work to correct them, the better. There are one of two issues that mortgage brokers and real estate agents will tell you are important. They will either say to “Pay down your debt” or “Save every penny you can.” These obviously can be conflicting goals and may lead to frustration on the part of the first time home buyer’s. My suggestion is this: You have to have a balance between the two. Yes, reducing your debt may help to get a better interest rate, but if you put all your money on your debt and have not saved enough you will not be able to purchase that home. For most home buyer’s, especially first time home buyer’s, its the down payment that gets in the way. Mortgage brokers will tell you that you should have 20% down payment in order to buy a house. The good news is that the 20% down payment will most likely prevent you from having to pay PMI insurance, but it is not necessary in order to buy a house. Many transactions are made with 3.5% to 5.0% down. Here’s the good news: Say you buy a house for $250,000. For simplicity, we are not going to figure in any downpayment. If your home increased in value 3% every year, at the end of seven years you would have approximately $57,467 to put towards a down payment of your next home. That does not include any reduction in the principle you made with your payments. If your home increased in value 4% a year; after seven years you would have approximately $78,982 to put towards a down payment of your next home. Home ownership is one of the best ways to increase your net worth. If you are thinking of buying – or selling – talk to a real estate professional; talk to a REALTOR who can give you the information you need to make an informed decision.